Attract success and focus your mindset for success with this unique subliminal mp3! Do you want to be successful in life? Do you want to be successful at whatever you attempt? Do you want to be successful first time round? Do you want to become one of those people who is just naturally successful at everything they do? If your desire is to become successful - whether achieving success of the highest levels in your chosen field, or in life generally, then this is the subliminal audio album for you. 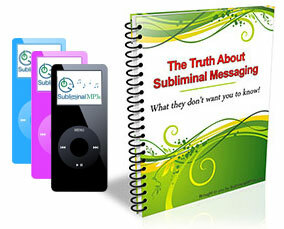 It contains specific subliminal statements which will naturally rewire your mind according to the law of attraction. It will turn you into one of these naturally successful people and attract success into all areas of your life. The law of attraction is a simple principle which basically states that "Whatever we focus on in our minds we will manifest in our lives". This success attraction album simply makes you focus on success, makes you more ambitious and ensures you are 100% focuses and committed to being successful in life. ...but, because the messages enter your subconscious mind they will actually make you more likely to be successful than if you didn't use any subconscious programming method. If you only consciously focus your thoughts on being successful yet neglect your subconscious mind then you will likely not achieve the full result you want. There will be negative and limiting beliefs deep within your mind which will hold you back from achieving the success you deserve. When you start targeting your mind with subliminal messages you are making sure you destroy these limiting beliefs and align your mind with the principles of the law of attraction; specifically with attracting success into your life. Your limiting beliefs will fade away. Instead of thinking of what could go wrong or how limiting the circumstances are, you will have only your vision in mind and work towards achieving it. You will become a naturally successful person in anything you conceive - simply because there will be no alternative in your mind! Get an advantage with this album; start to attract the success you really deserve and know you are capable of achieving! This album specifically contains statements to help you attract success into your life and is just one album in our broader law of attraction collection.